Larger Project 1-11, Powder Bathroom » Roger Perron Inc. 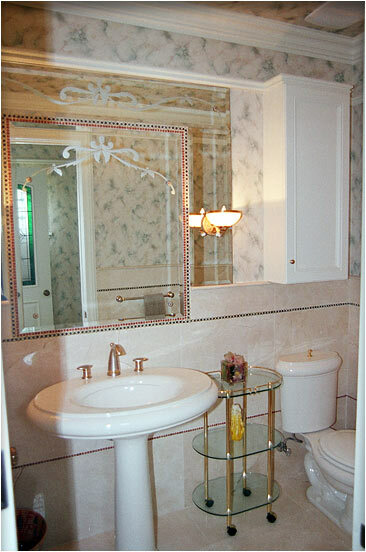 The powder bathroom was detailed with crema marfil 24″ x 24″ slab tiles. We used different sized beveled mirrors to create a unique look with mosaic tile surrounds. Above the wainscot is faux wallpaper.